Prolonged or repeated exposure to ketamine, a common anesthetic in pediatrics, has been shown to induce neurotoxicity and long-term neurocognitive deficits in the developing brain. Therefore, identification of potential therapeutic targets for preventing or alleviating such neurodegeneration and neuroapoptosis induced by ketamine is urgently needed. Remote ischemic preconditioning of the limb provides neuroprotection in different models of cerebral injury. Thus, the present study aimed to assess whether remote ischemic preconditioning could have a neuroprotective effect against neurotoxicity induced by ketamine. In our study, 96 newborn rats were assigned to one of four groups, including control, remote ischemic preconditioning, ketamine, and remote ischemic preconditioning plus ketamine. Ketamine was administered intraperitoneally in six doses of 20 mg/kg at 2-h intervals. Limb remote ischemic preconditioning comprised four ischemia (5 min)/reperfusion (5 min) cycles in the right hind limb using an elastic rubber band tourniquet. Histopathological characteristics of cerebral damage were assessed by H&E staining and transmission electron microscopy. TUNEL assay, immunohistochemical staining and immunoblot were employed to evaluate neural cell apoptosis. Learning and memory were evaluated using the Morris water maze. 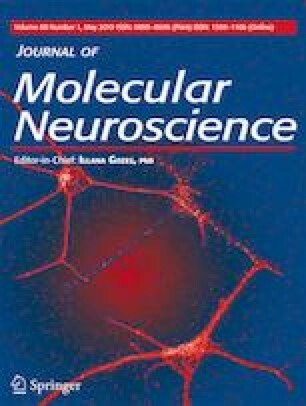 The results showed increased cleaved caspase-3 protein levels in the cerebral cortex and the hippocampal CA1 region, severe cell damage and DNA breakage, and decreased spatial learning and memory abilities in the ketamine group in comparison with controls. Notably, these changes were significantly reduced by remote ischemic preconditioning. These findings suggest that remote ischemic preconditioning ameliorates neuroapoptosis and neurocognitive impairment after repeated ketamine exposure in newborn rats. This work was supported by grants from the National Natural Science Foundation of China (81560502) and the Ningxia Natural Science Foundation (NZ15143 to Jinhai Meng and NZ16147 to Wan MA). This study obtained approval from the animal care and use animal experimentation committee. All procedures complied with the guidelines of Ningxia Medical University institutional animal care.